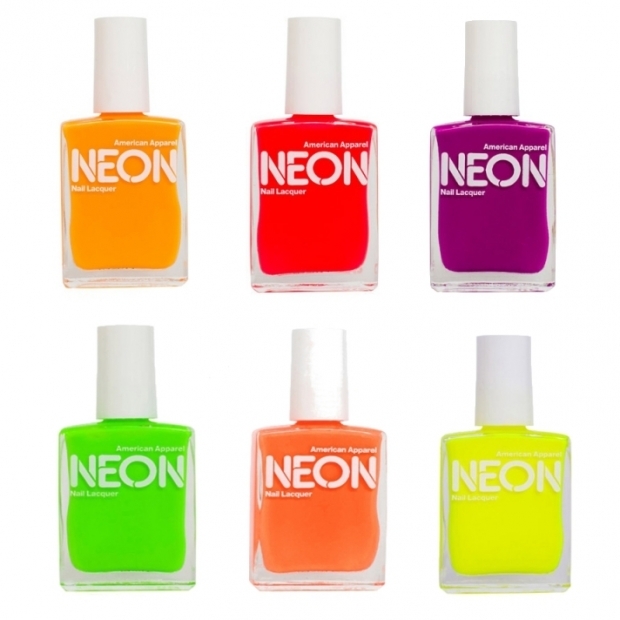 American Apparel Neon Nail Polish Collection. Color is definitely the buzzword this summer season, so make sure you capture everyone's attention by going bold. 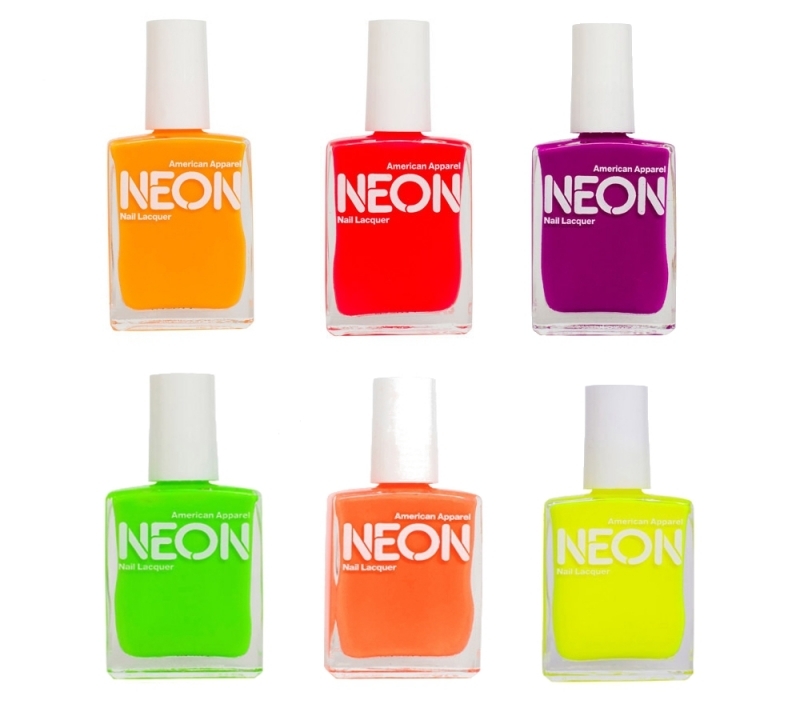 Give your nails a color boost by turning towards these hot neon nail polishes from American Apparel as they are all amazing and can truly make a statement! The summer season has brought a blast of color whether it's through fashion, makeup or nail products, so don't hesitate to have a blast and opt for cool neon hues that make you grab all the attention. Nail art has become a must have for every fashionista, so if you wish to make a statement, American Apparel's neon nail polish collection can definitely help. The 6 neon shades available are definitely going to make your nails steal the spotlight, and best of all they contain ingredients which will not damage your nails. The nail polishes, which are manufactured in USA are cruelty free, DBP, toluene and formaldehyde-free, in addition to being super richly pigmented. The brightly colored nail polishes are applied easily with the help of a wand which delivers precise stokes for a flawless, fuss-free application. Packed in a simple bottle, the nail polishes can travel with you everywhere you go, so you can always make sure your nails raise up to the expectations and complete your stylish contemporary wardrobe. These neon hues are truly stellar, so they are definitely not for everyone. Choose one of the following six unique shades so your nails can scream look at me! These environmentally and nail friendly nail polishes won't make you cough-up a ridiculous amount of money, so you'll be able to enjoy a salon look without ruining your budget. For $6 a bottle, your nails will look amazing, so use your favorite neon hues individually or mix them for a cool and sophisticated multi- neon colored nail art design. Tip: if you want to give your nails a cool neon marbled effect, try to mix different hues in a cup of water and dip your nail into the color. Water nail art has made it easy for women to receive an at- home cool nail art design without spending any money, so give it a try and make your nails pop.